A complete Gift for the sock fanatic - or fanatic - to be - enough yarn for a pair, a great set of sock needles from Lantern Moon, and your choice of a book - all packaged in an oversized Kraft Recycled Chinese Take-Out box and topped off with our fabulous ribbon and customized gift card. 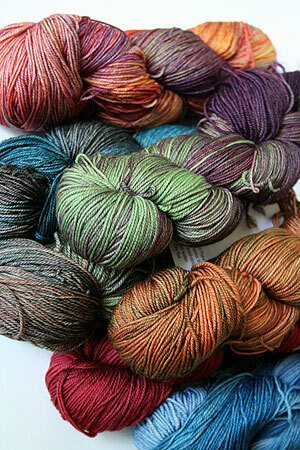 Choose from Artyarns, Malabrigo, or Spud & Chloe Fine Sock - they're all wonderful, and sure to delight any knitter. New - Spud & Chloes fabulous brand new line machine-washable wool & silk sock yarn. Its called FINE, and that's exactly what it is! 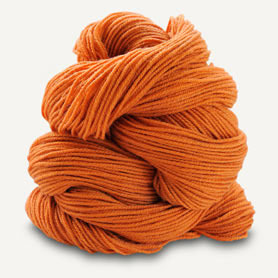 Gorgeous, machine-washable cashmere yarn - One skein for ankle length, two for just under the kneww. A lovely gift. New - Spud & Chloes fabulous brand new line machine-washable wool & silk sock yarn. Its called FINE, and that's exactly what it is! 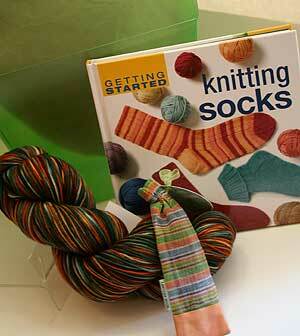 Shown Above - our sox box, available in 3 fun fiber flavors, includes yarn, double point sock needles, and a book to match. Now shipping in a Kraft recycled chinese take-out box! Enough yarn to knit a pair of socks a set of double pointed Ebonywood or Rosewood double pointed needles, a fantastic sock knitting book with great illustrations and lots of projects and clear and simple guidance, all packed into a colorful and funky Reycled Kraft Chinese Take-Out gift box - topped of with our FAB gift wrap and customized card!